Seems like they are still in recovery mode.Too many staff members hanging around like family. Smells real bad. Cats everywhere...sickening. Good people. Too many things that is not right to list. Unhealthy. The wiew, the terrace, the decorations, the amenities, the bathroom, the bed, the location, the restaurant, the wibe. Beautiful traditional bungalows right at the beach. Very quiet and relaxing. Loved the traditional Thai style huts, charming ! Views to the ocean from hammock! Great buffet breakfast on the beautiful private beach. Would highly recommend this place. 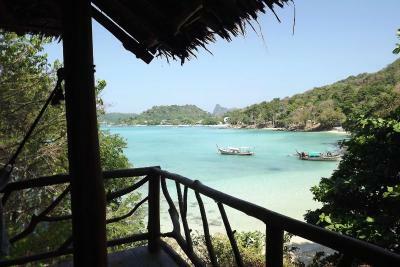 The #1 best place to stay on Phi Phi Island. Private beach, very far from loud clubs, relaxing hammocks and great food! About a 20-30 minute walk into town on a well marked path. The extremely friendly staff, the service, the beautiful huge room, the food, the small beach. Been there with my wife and had really great experience. It’s right on the beach. They had free pick up and drop from the Phi Phi Pier. Staff were very professional and food and drinks are reasonably priced. The ‘roots’ style was nice with an exclusive beach. The food of the restaurant was also good. *Beautiful amazing resort!!!! *Amazing private beach *Our room was like in a movie *Free water bottle *Breakfast was WONDERFUL *Location- 10 min walk to main st, but that’s what make it such an amazing place! Viking Nature Resort This rating is a reflection of how the property compares to the industry standard when it comes to price, facilities and services available. It's based on a self-evaluation by the property. Use this rating to help choose your stay! 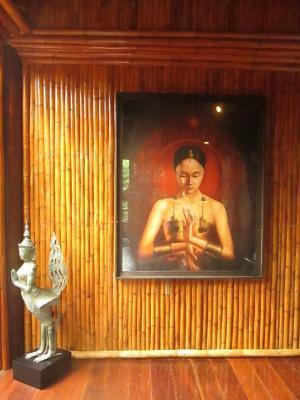 One of our best sellers in Phi Phi Islands! 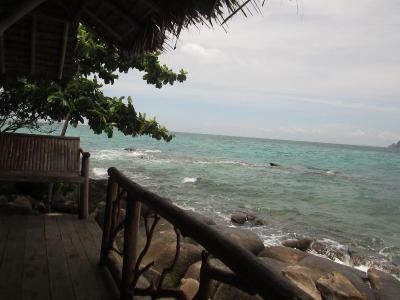 Viking Nature Resort is a 5-minute walk from Long Beach and a 25-minute walk from Ton Sai Pier. Offering classically furnished rooms, the resort has luggage storage and a tour desk. Free WiFi is available in the rooms. 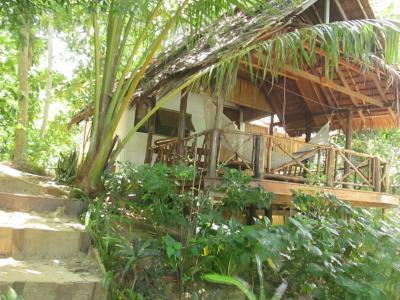 The property is a 1-hour walk to Phi Phi Viewpoint. 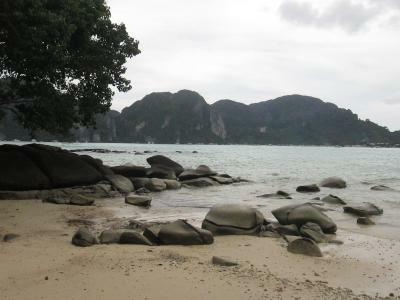 It is 45 minutes away from Bamboo Island and Phi Phi Lay by boat. 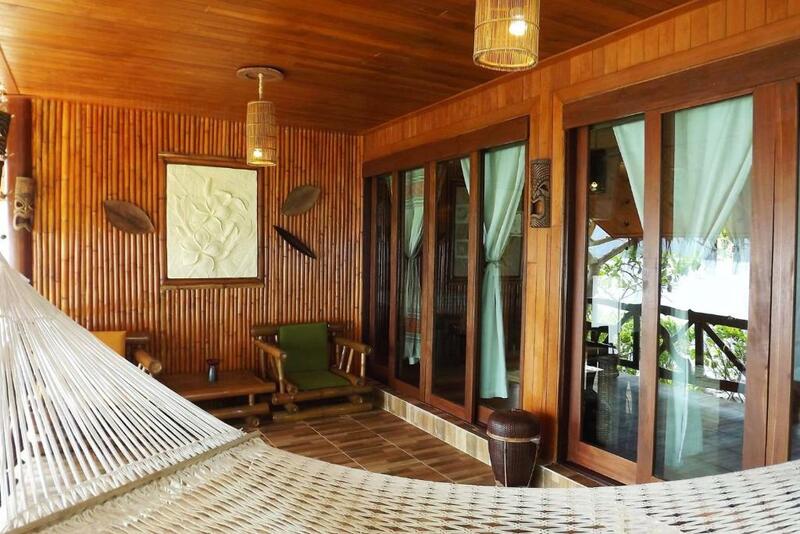 Rooms at Viking Nature Resort are adorned with simple interiors made with natural materials. Each room comes equipped with a fan and a private bathroom. Select rooms have a TV and a refrigerator. Guests can enjoy Thai and international dishes all day at the resort’s on-site restaurant. When would you like to stay at Viking Nature Resort? Room comes furnished with a fan, a balcony and a private bathroom. Larger than Standard Room, it features a balcony, a fan and a private bathroom. With more space than the Superior Room, the unit features a balcony. It has a TV, a refrigerator and a fan. Shower facilities are included in a private bathroom. Villa features a balcony, a TV and a refrigerator. Shower facilities are in a private bathroom. Room comes with a fan and private bathroom. This room features a seating area, a flat screen TV and a terrace with hammock. House Rules Viking Nature Resort takes special requests – add in the next step! Please be informed that the reception is open from 07:30-23:30 hrs. I loved the rustic nature of the Viking Resort. The view of the bay from our bungalow was gorgeous! It's also well placed in between Long Beach and town- short walk to each. The beach there was fantastic- small, but never crowded and snorkeling was good right there. We stayed for 4 nights, wifi in room was available the first and last day of our stay. NOTHING! Couldn't fault it at all. I travelled here with my two children aged 4 & 11. I had already upgraded us to a deluxe bungalow. However I asked if I could have another upgrade for free as it was my birthday and they kindly agreed. We were in magmai C4B. It was absolutely fantastic! 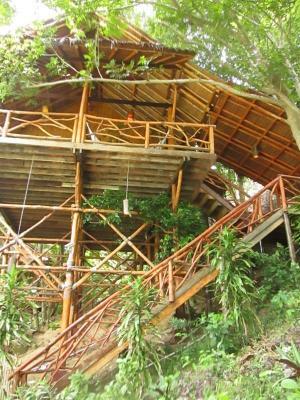 Huge and super luxurious with a direct view of the beautiful beach. The staff were all really helpful and incredibly friendly, especially with my kids. We walked to town a couple of times which took about 25mins along a pleasant coastal path. The boat taxi was also very easy and convenient to use. The food was very good and well priced. Plenty of drinks to choose from. It was a perfect spot to enjoy Phi Phi whilst away from the hustle and bustle. True paradise. Quirky and intimate. Good location with small private beach. 5-10 minute tricky walk over tree roots using ropes etc to Long Beach. 20-25 minute walk to Tonsai Pier over path and beach - steep steps in some places. Fabulous view of Phi Phi Lay! Air con hut needed. Go to Carlitos Bar in town for fire show - best show on island! The shower water pressure is really low and it is salt water. The receptionists and some staff aren’t friendly. It has it’s own small private beach. It has a unique theme and beautiful setting. Hit or miss on employees. Some very nice. Some not so much. Everything! It was so unique and beautiful. Toilet was dirty. Location of bungalow was very far from reception. Staff was not that friendly and didn’t smile or greet guests. I have been in Thailand for 5 months and this kind of treatment has been very u like other places I’ve stayed. Junk piles lying around the grounds of resort.